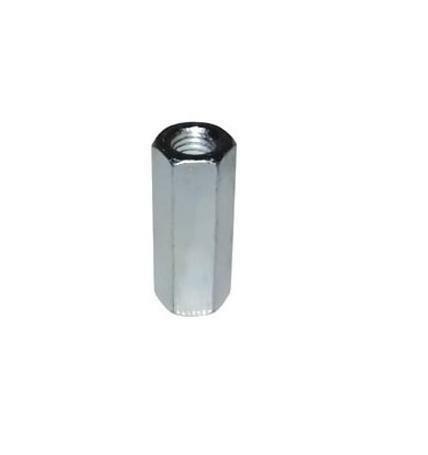 In order to keep pace with never ending demands of clients, our company offers Connector Nut. Our company, S. K. Bolt Centre has set benchmark in the market and was established in the year 2013. We are a Partnership based firm and located our headquarter in Tamil Nadu, India. Further, our company is involved in manufacturing, trading and supplying a high quality range of Stainless Steel & Hi tensile Hex bolts, Allen Bolts, Allen CSK, Allen BUTTON HEAD, HEX NUTS, NYLOCK NUTS, COACH SCREWS, DROP IN ANCHOR, ANCHOR FASTENERS, CSK Washers, Metal Washer, SELF DRILLING SCREWS FISCHER PLUGS and many more. Our offered products are highly demanded by customers for their perfect finishing, corrosion resistant nature and many other features.